We moved into our new house in November. That evening, snow began to fall as our family carried in chairs and pillows and boxes and dishes and books and toys and all the things that make a home. Winter seemed to begin on that day, even though the calendar wouldn’t be in agreement for several weeks. We did not see much of our yard this winter. Each time the snow began to melt and the grass peaked through, a fresh blanket would fall. 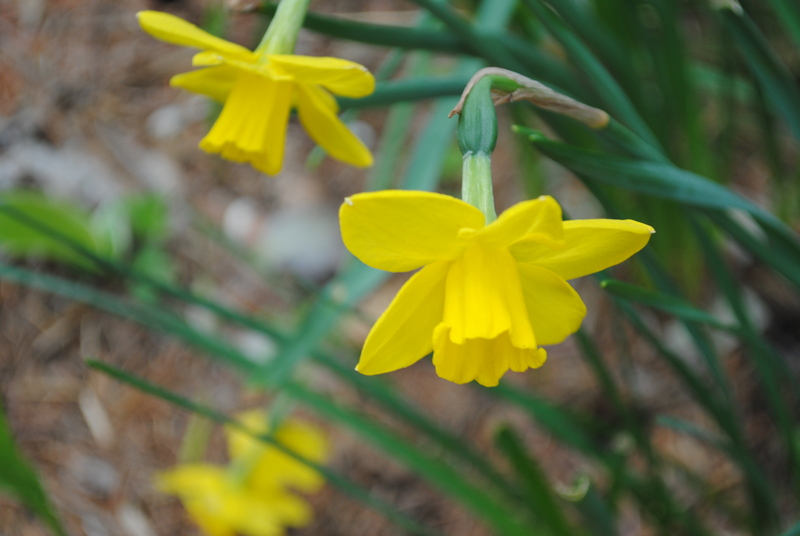 As spring approached, we wondered what might pop up in our yard. Having never seen the property outside of fall and winter, we had little more than a guess based on sadly wintered leftovers from seasons gone by. So…what did we find here? 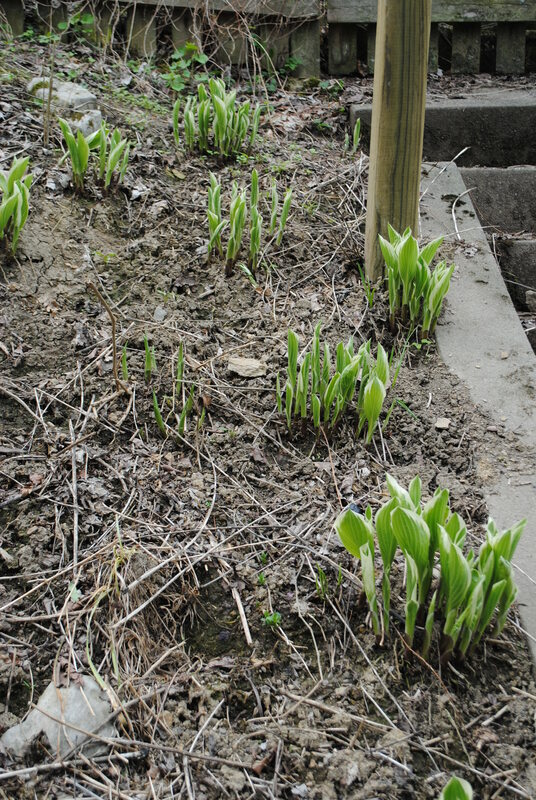 What new life finally raised from hibernation? Spring carries a fun anticipation. What will pop up next? Wonderful post! I love your posies! 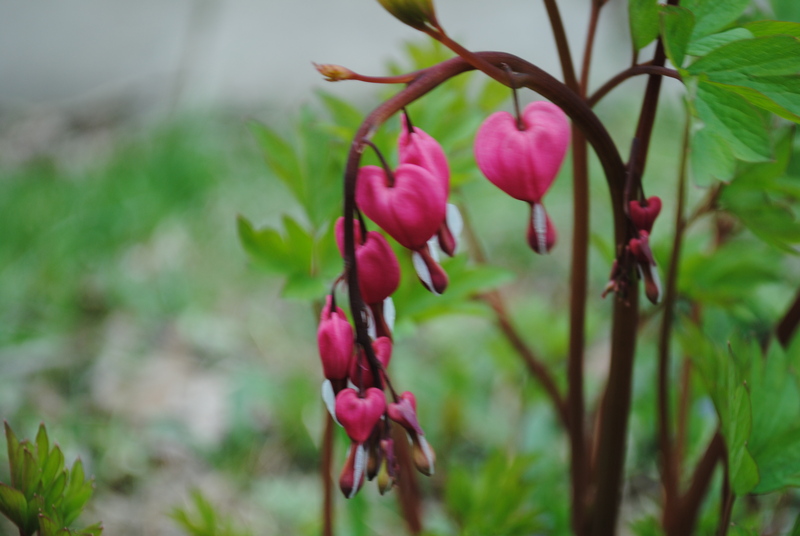 A Bleeding Heart Plant! You are so lucky…my grandmother had one. Love your thoughts! I just knew spring would eventually get here. 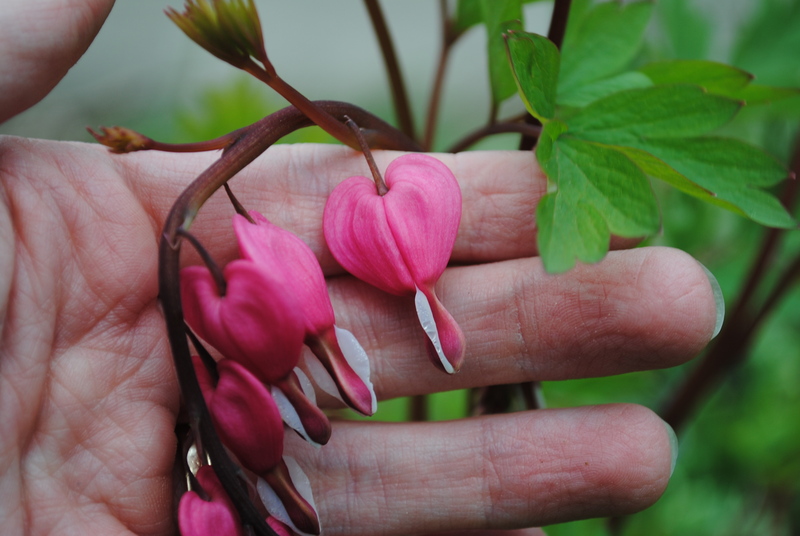 I have a most beautiful bleeding heart plant in my yard, and I treasure its bursting forth every year. It’s a link to my mother who just loved those dainty hearts. Enjoy the rebirth of God’s earth . Love this. We moved into our new house in March, and the yard was covered in snow. I am loving now that I can finally see what is really around me.